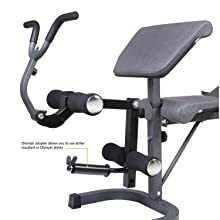 Compatible with most 6’ and 7’ weight set bars. 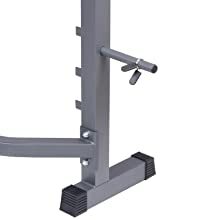 This heavy-duty 2.5-inch square tube Olympic bench is built for the truly serious lifter. 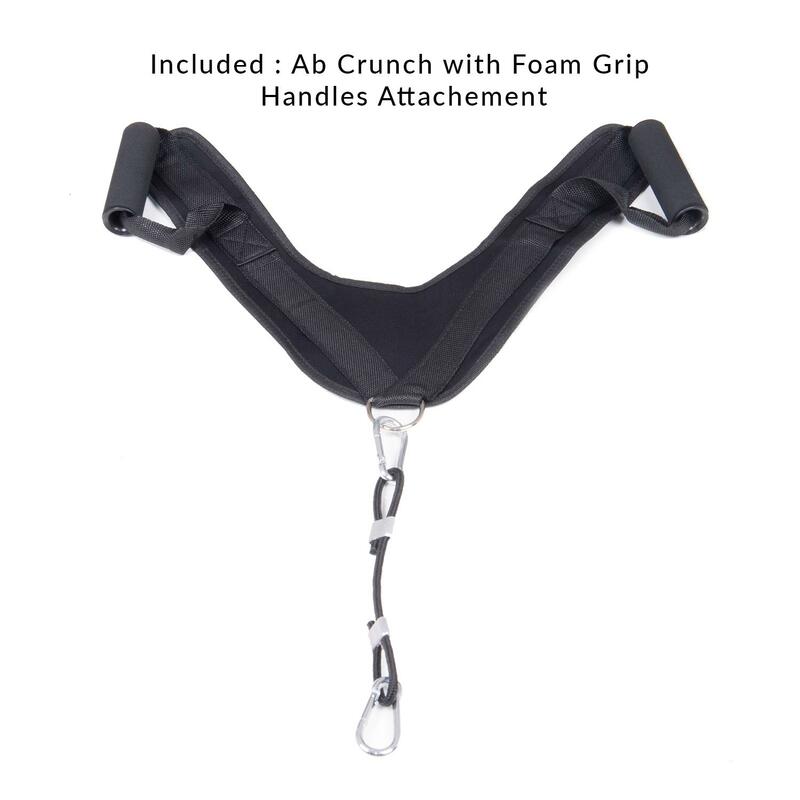 Added attachments to this set are the high-density padding preacher curl and crunch handle for you to perform ab crunches for a great core workout. 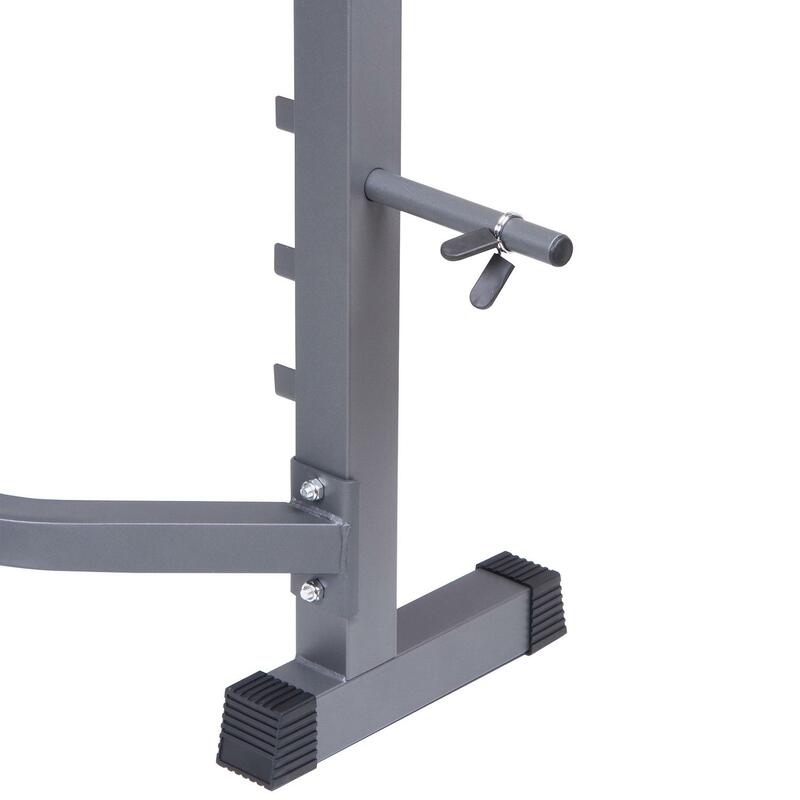 The bench racks are built for either the 7′ or 8′ Olympic bars. The adjustable weight racks can accommodate double duty as a bench press upright and adjustable squat rack. 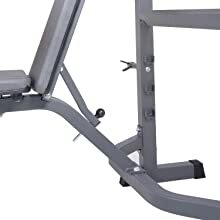 The racks have safety hooks, as well as, the ‘no pinch’ feature. The ‘U’-shaped front leg stabilizer gives you an added safety and stability during the workout. The leg developer has oversized foam pads for safety and comfort and an Olympic adapter allows you to use either standard or Olympic plates.